In a modern-day building emergency lighting is essential. In the event of a fire, it can save lives. 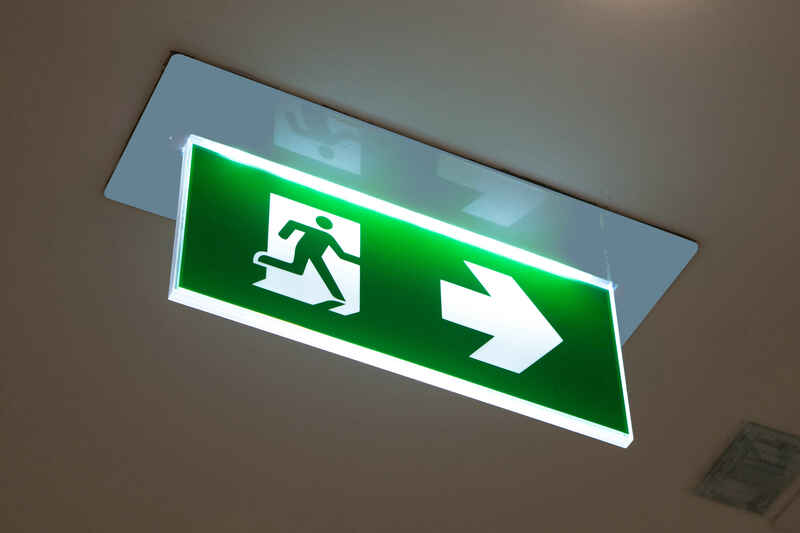 In a poorly lit building, failure to have the correct lighting could result in serious injuries, or even death if evacuating people are unable to easily locate the nearest fire exits. Failure to provide adequate fully functioning emergency lighting could result in large fines and prosecution for noncompliance. Will operate as a normal light fitting and be controlled with all the other lights in the area, however when the power fails the maintained emergency fitting will continue to operate but, at a lower light level. Is normally switched off, with its batteries being continuously charged and a green LED showing fully charged. When the power fails then the fitting switches on using its battery supply. Non-maintained fittings are not part of the general lighting but are fittings such as emergency exit signs. The non-obstructed, quickest and safest escape route must be lit to a minimum of 1 lux during an emergency. 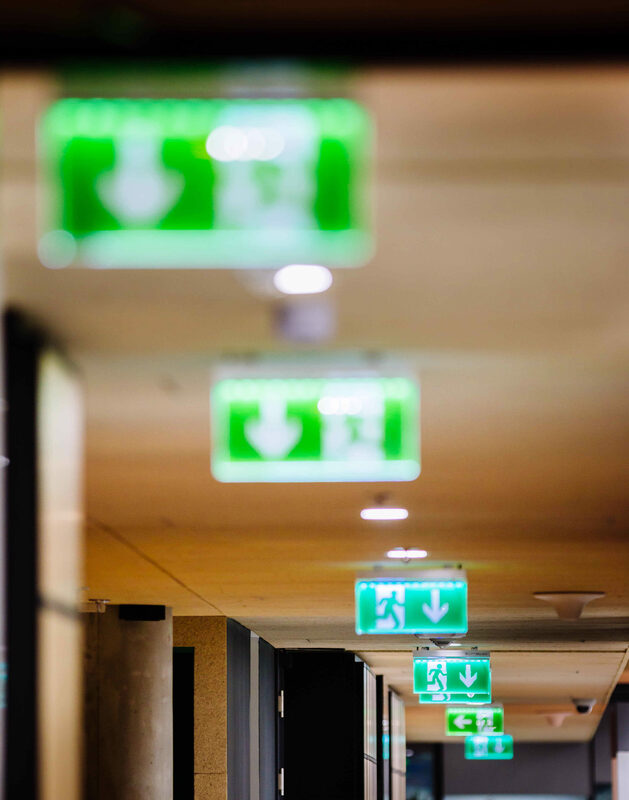 If the open area is less than 60m2 and isn’t part of an escape route then emergency lighting isn’t required, however, the exit doors for the emergency escape route must have signs or an emergency bulkhead light. 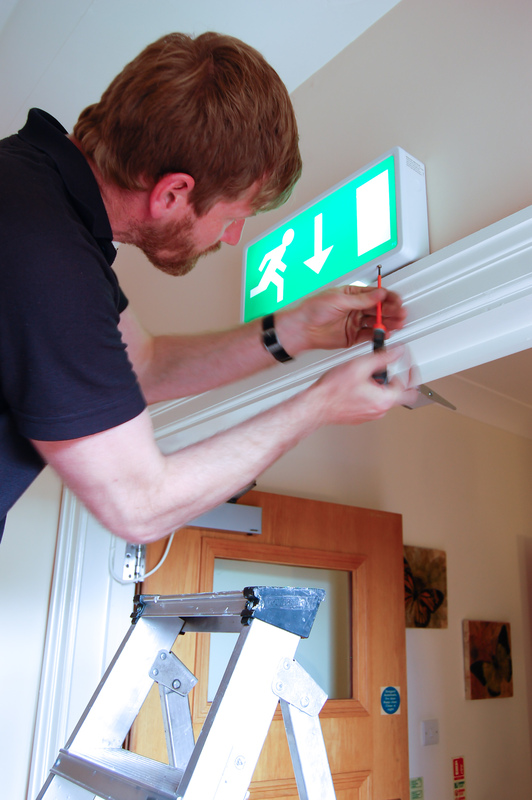 An escape route such as a designated corridor must be unobstructed and lit to a minimum of 1 lux during an emergency. Due to increased hazards, these areas need to be lit to a minimum of 2 lux during an emergency. Logic Fire and Security can assess your buildings requirements to make it complaint with current legislation and supply and install the equipment to ensure that your premises is a safe working environment for you and your colleagues.